Applying to a UX internship can be challenging and often confusing. Questions arise like — What should your portfolio look like? What should you talk about in your interview? What are hiring managers looking for? Is there a secret ingredient to securing an internship? While this article might not answer all of these questions (spoiler alert: there’s no secret ingredient) it does present the complementary perspectives of a former Google UX intern, Sonakshi Watel, and her former Google UX intern manager, Aaron Druck, on the Google UX internship experience. Sonakshi is a recent graduate from the UMich HCI masters program. While interning at Google, she worked on internationalization features for Actions on Google, a developer tool for creating actions for the Google Assistant. She’s currently a UX designer on Firebase. Aaron Druck is a Google UX designer, currently working on Firebase developer tools, like Firestore. He’s been a UX designer at Google for over four and a half years, previously working on Google+ and Google Who’s Down. He was Sonakshi’s former UX intern manager on Actions on Google. Sonakshi will talk about her internship search, and the process of applying for an internship. Similarly, Aaron will cover the process for finding the right intern. Please note this article won’t cover the internship experience itself (part two, maybe?). Honestly, my internship hunt began with a sense of mild panic. I was a few weeks into graduate school and I heard my peers talking about finding summer internships and creating their portfolios (which I admit, I didn’t know the first thing about). I started gathering artifacts related to my projects which I could talk about in an interview. I put together a portfolio. I made a list of places I would want to work. This list can be based on areas of your interest (tech, education, healthcare, etc. ), a company’s design aesthetic, or their work culture. You need to take ownership of where you want to work and know that you have agency in this process. Don’t forget to keep track of application opening dates. I worked backwards from these dates. For example, I knew Google’s applications would open in the first week of January, so I wanted my portfolio to be ready by the last week of December. It’s crucial to have a portfolio. Most internship applications will ask for one and it’s a great way to present your design process and work. There are a lot of options for creating your portfolio — coding your own website or using sites like SquareSpace or Wix. I used SquareSpace (and still do) because it helped me get my portfolio set up faster. I believe it’s more about the content and how you present it in your portfolio and not what you use to set it up. Your portfolio should be a reflection of your design process and ideology. My design ideology is keeping it simple and intuitive. So, I designed my portfolio to reflect that. I applied to the Google internship and had a phone interview scheduled with Aaron. I chose to talk about a project I had worked on during a grad school class, which I was particularly passionate about. In our 45 minute phone interview, I presented my design work and the process I followed for the project. Aaron asked me questions about the project and some general questions. I also had some time to ask him questions at the end. A good exercise when preparing for an interview is to make a list of the key attributes you associate with your design work (mine are empathetic, intuitive, and iterative) and building your narrative around these points. For example, my project problem statement was to increase the participation of teenage girls in team sports in the metropolitan cities of India. I identified the critical features of this app as matching players at the same level of expertise and also considered aspects of security. It is important to surface these focus areas as it helps present your unique point of view and design approach. There’s a lot to consider when choosing a place to intern as a UXer. Generally speaking, when you’re starting out in your UX career, I think it’s important to find a place that has some foundational UX culture and team, to help mentor you in the process and share knowledge. That said, it’s not the only way to go (I started out as a solo UXer in my early days). The pros of being a solo practitioner is that you get to have more ownership, and potentially build a UX culture from scratch over time. Like Sonakshi said, presenting and articulating your work is key. The content matters more than what you used to create your portfolio (although, that’s always a nice bonus, to showcase a UXer’s technical chops). I look for how well a prospective intern can communicate their work and process. Can they clearly articulate the problem, why it is a problem, and their process to solve the problem. I personally look for a unique and personal UX point of view, strong critical thinking skills, and candidates that showcase strong empathy for their users and their colleagues. I see a lot of portfolios and candidates communicating a very generic UX process that they learned in school: “Here’s the Problem, Here are Personas, Here’s the Information Architecture, etc.” The fundamentals are important, but it shouldn’t be a rote mechanical process. For example, I want to understand why you thought using card sorting in your UX toolbox was the best approach to a problem. Not that you conducted card sorting. The phone interview is a tough one. You have limited time to make an impression, and communicate your process. Try to deep dive into one project. The project outcome doesn’t need to be a success. I’m looking more for the thought process and creative critical thinking through the journey. Focusing on the problem, the success metrics, and solution validation are stages I enjoy geeking out on. Also, having a strong narrative and storytelling ability can help guide your thought process and leave an impression. Apply for a Google UX internship! 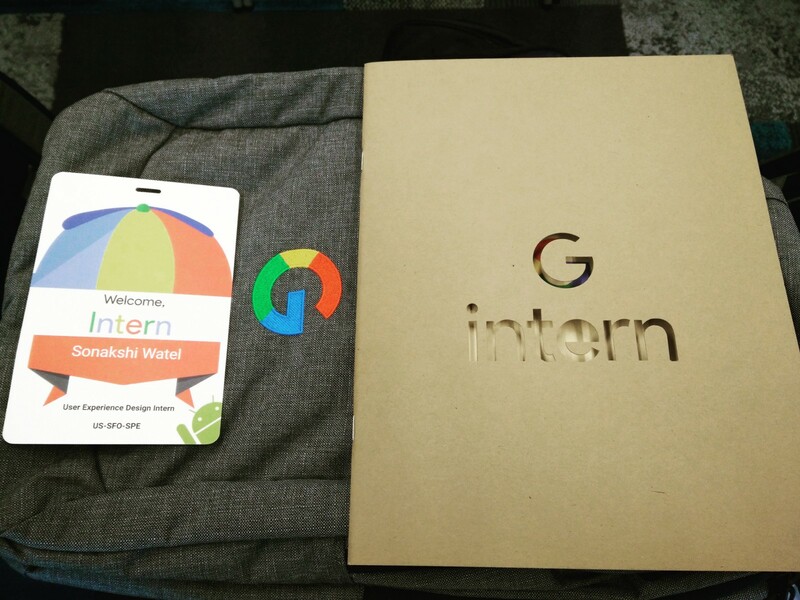 Hopefully all you aspiring Google UX interns out there are now fully informed about what it takes to become a Google UX intern. 2019 UX internship applications will open on January 7–25th 2019. Apply for a UX Design internship here!